The banks of the Middle Fork River near Dynegy's coal ash ponds at the Vermilion Power Station are eroding at a rate of 2.6 feet per year. The company is applying for a permit to install more than 22,000 cubic years of rock to prevent the river from breaching the ash ponds. 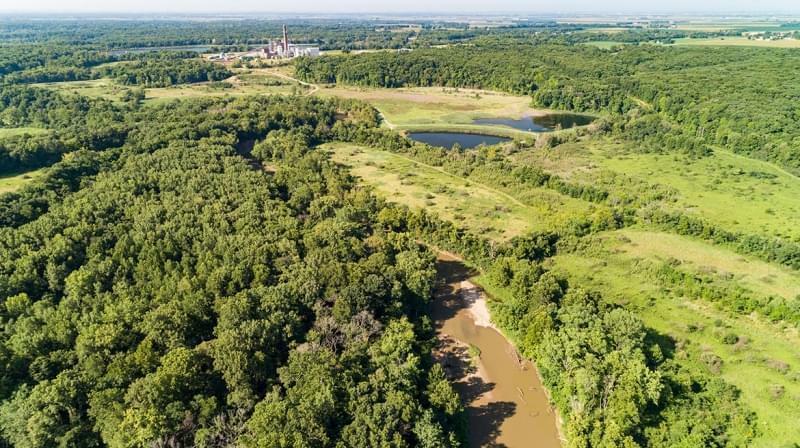 The Illinois Environmental Protection Agency has announced a public comment period and a public hearing on a proposal by Dynegy Midwest Generation, LLC to stabilize the Middle Fork River at the retired Vermilion Power Station near Oakwood. 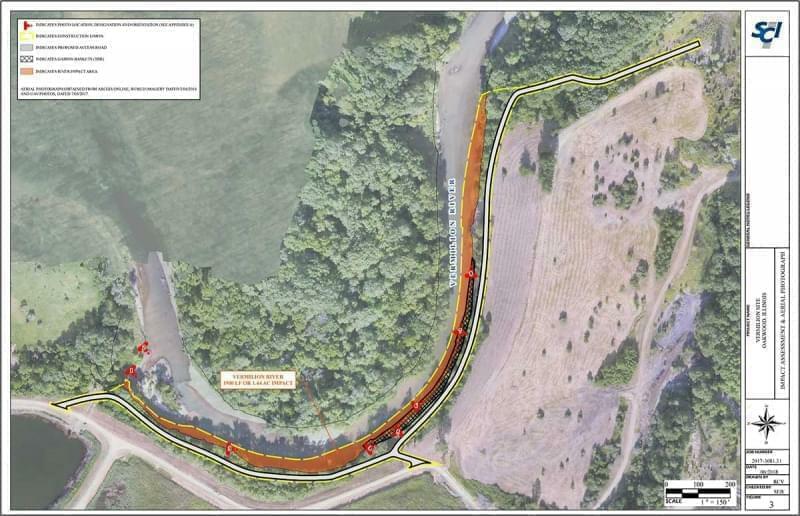 Dynegy has applied for a permit to construct a 1900 foot long wall of rock on the river. 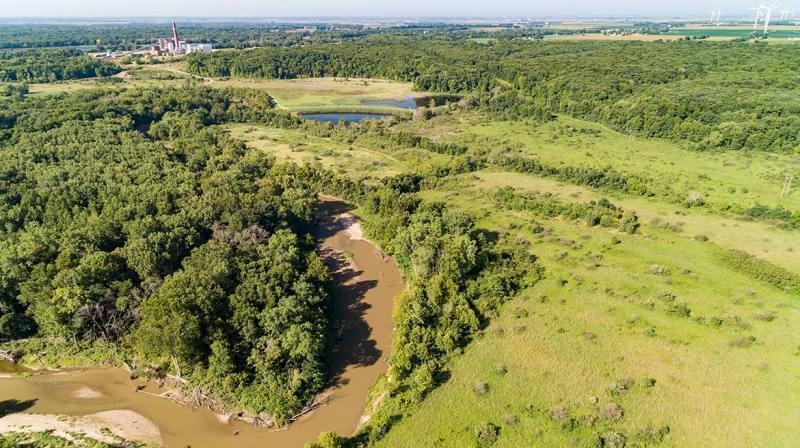 Construction would require excavating sections of the river bottom to a depth of up to seven feet, and replacing river sediments with 20,240 cubic yards of rock materials. Another 2,130 cubic yards of boulders would be placed above the water line. The project is opposed by many Vermilion County officials, residents, businesses, and environmental groups. 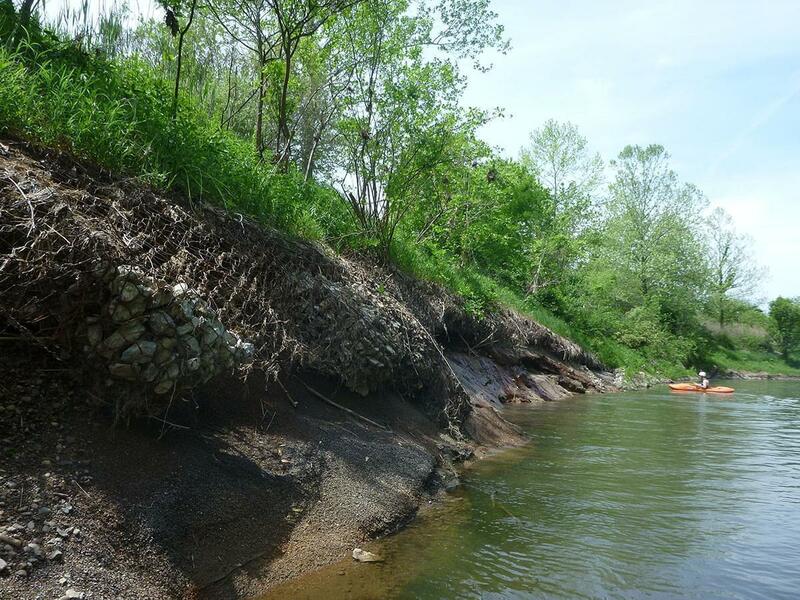 They say the wall is a temporary solution, and that its construction – and the wall itself – would damage the Middle Fork, Illinois' only National Scenic River. They want Dynegy to eliminate the risk by moving the coal ash away from the river. Vistra Energy Corp., the parent company for Dynegy, said in a written statement that the company worked with the Illinois Department of Natural Resources in planning the construction project. "It’s our belief that the riverbank stabilization work could be completed in the course of a year. The start date is impacted by the timing of regulatory approvals," the statement said. "We are working through the regulatory process as swiftly as possible, we are engaging with the appropriate agencies, and we are committed to providing a permanent and effective solution." Dynegy’s proposal is under review by the U.S. Army Corps of Engineers, the Illinois EPA, the Illinois Department of Natural Resource, the U.S. Fish and Wildlife Service, and the National Park Service. 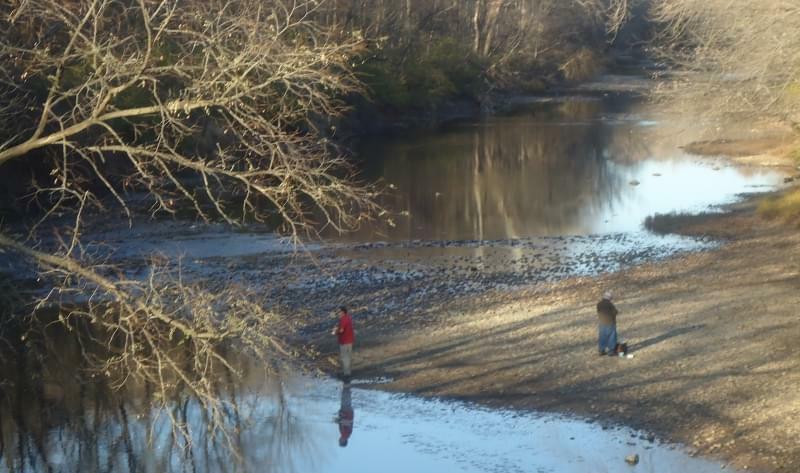 The Illinois EPA's role is to review the project’s potential impact on water quality standards set by state and federal laws including the Clean Water Act. The agency has said any proposed solution must show that it will meet water quality standards "in perpetuity." 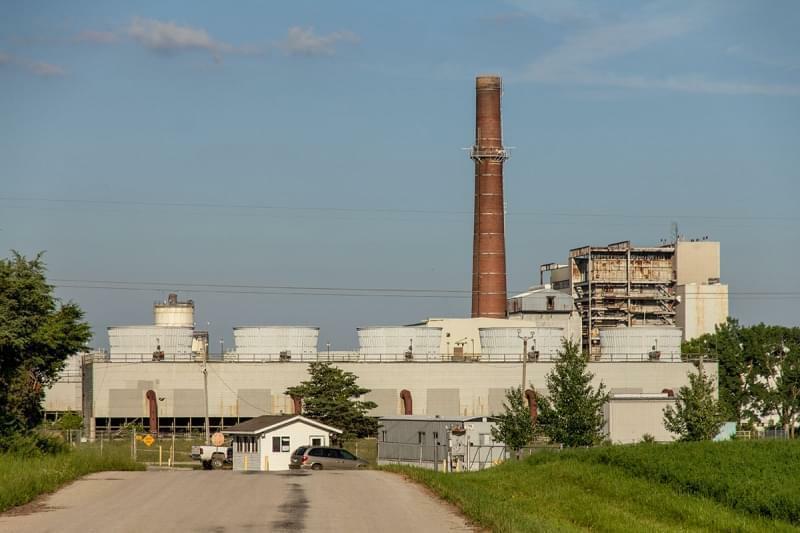 In announcing the public hearing, the Illinois EPA said it has made a "tentative determination" to approve Dynegy’s permit application based on information provided by Dynegy. 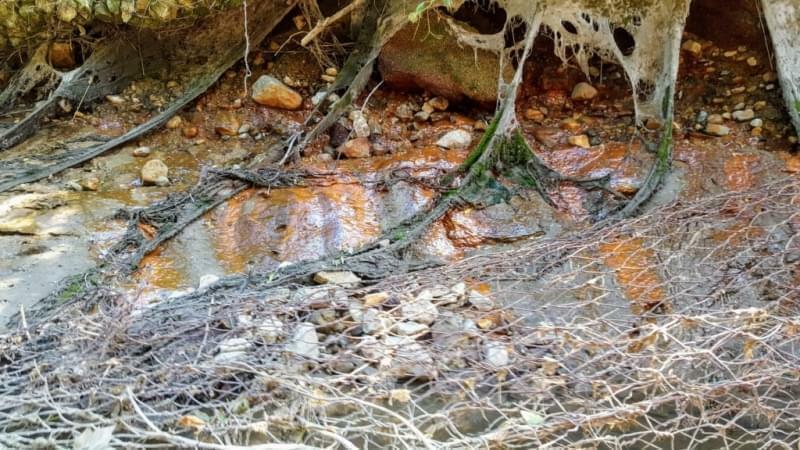 But Sanjay Sofat, head of the Illinois EPA’s Bureau of Water, said the agency "has made the determination that there is significant public interest in this and therefore we made a decision to hold a hearing" to gather more information. "The objective and the purpose here is to seek information from the public that we may not have," Sofat said. "That will help us make the final decision." The Illinois EPA will accept public comments by mail or email through April 25th. Sofat said the agency will consider public input on how the Dynegy plan would affect violations of Illinois and Federal water quality standards, or "interference with existing water uses, particularly public recreation, on the affected water." Comments sent by email must specify "Dynegy Midwest Generation 401" or "COE 2018-602" in the subject line, and may be sent to epa.publichearingcom@illinois.gov. The Illinois EPA public hearing will be held on March 26th at Danville Area Community College, based on details provided in the announcement. The U.S. Army Corps of Engineers is reviewing the impact of Dynegy’s proposal for construction in the river, and its potential impact on the Middle Fork. On November 26, 2018 the Corps issued its own call for public comments, which closed on January 10th. Corp project manager Sarah Keller says some 300 public comments were received. She said based on public interest, the agency may call its own public hearing on the proposal. "We are being as transparent as absolutely possible to everybody involved in this proposal, both the applicant, concerned citizens, other regulatory agencies," Keller said. "We're going to follow the regulations, and if we can approve the project we will. And if we can't then we can't."